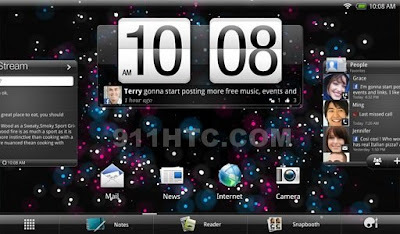 HTC could be releasing the HTC Puccini 10 inch tablet this summer. According to digitimes, HTC is purchasing 10.1-inch touch panels from AU Optronics (AUO) and Wintek for Puccini tablets, while buying 7-inch panels from Cando and Wintek for its Flyer tablets. Apple Stores are now putting iPad 2 interactive display units beside each Apple product on display. Instead of the usual paper describing the unit, iPad 2 now does the work. 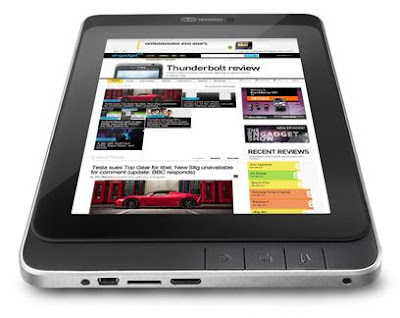 Watch this video of the Fujitsu TH40/D tablet with the slide-out keyboard. Video below. If you need a cheap tablet, wait for the BeBook 7" Live Tablet that will come out in June for $279.